We did it! 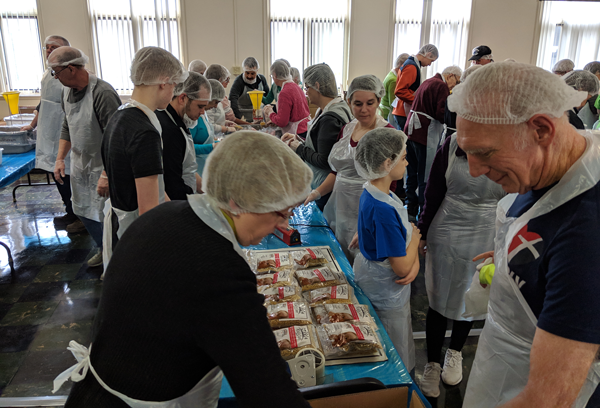 In the matter of roughly 3 hours, we packaged meals enough to feed 20,000. It helps to have many hands to pour, measure, seal, pack and carry. Not to mention those who refilled, emptied and supplied. 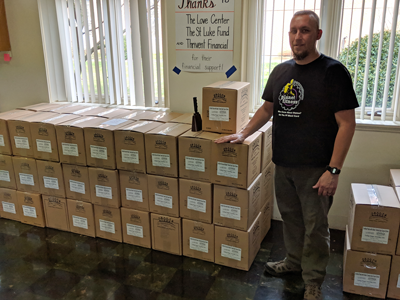 Finally, strong arms were needed to load the finished boxes for delivery to the benefiting charities. This incredible effort could not have happened without the efforts of many behind the scenes. Thank-you to the many members of St. Mark's who planned the event, set up and helped on the packaging date. Also thanks to the kitchen crew who fed the masses after the work was finished. In all, a monumental effort. All to feed the hungry of Lycoming County. 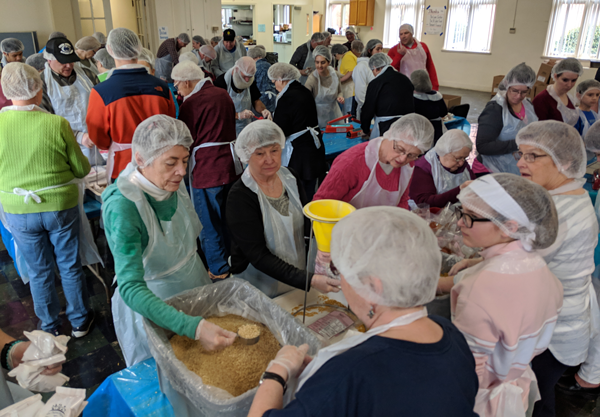 The effort will provide meals of pasta with tomato basil sauce to be local food banks and food pantries in the Greater Williamsport Area and The New Love Center in Jersey Shore, PA.